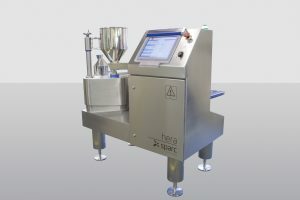 Raptor is one of our newer systems, designed to eliminate emergency product withdrawals (EPW) associated with date and price coding errors, allergen labelling, and pot and lid marriage errors. 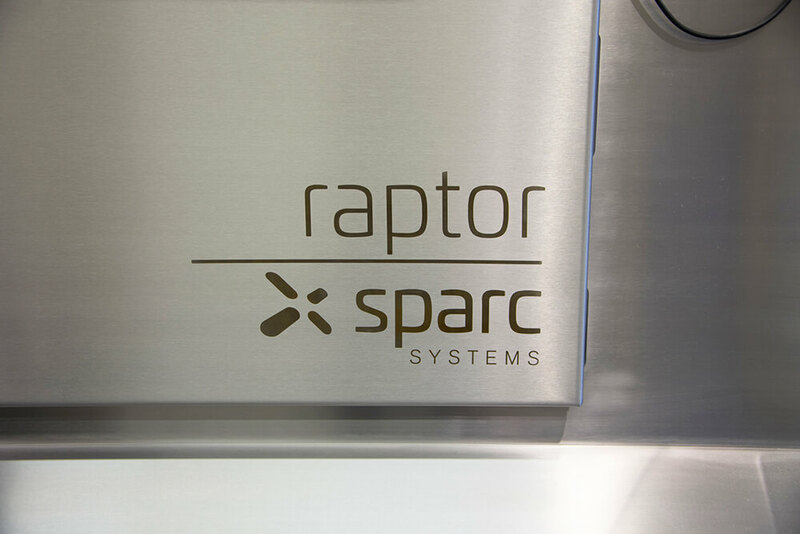 By automating processes and removing the need for human intervention, Raptor helps to drive increased efficiency, security and control of product quality. Raptor will inspect each label (top and bottom) for the presence of a correct product description, date code, lot numbers, allergen ID codes and barcode and reject products without a product description, date code or barcode into a dedicated reject bin. If connected to the optional SparcControl® database, the system will be sent the required product code and variable data and automatically set up. No operator input or machine adjustment is required for any product changeover. 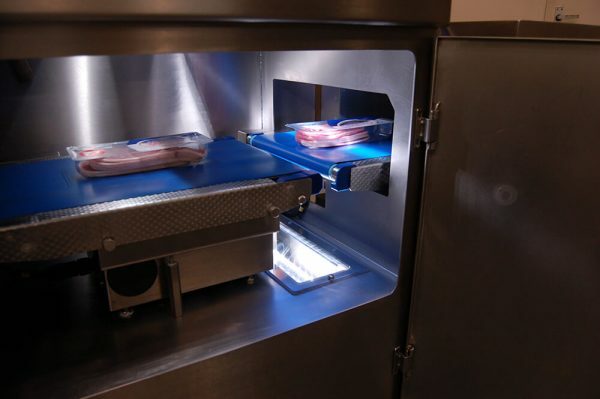 The system has been designed, engineered, and constructed to the highest high care / food grade engineering standards. 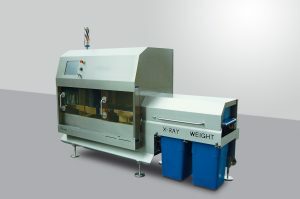 A high-resolution line scan camera positioned below the space between the end of the in-feed conveyor and the front of the inspection conveyor. 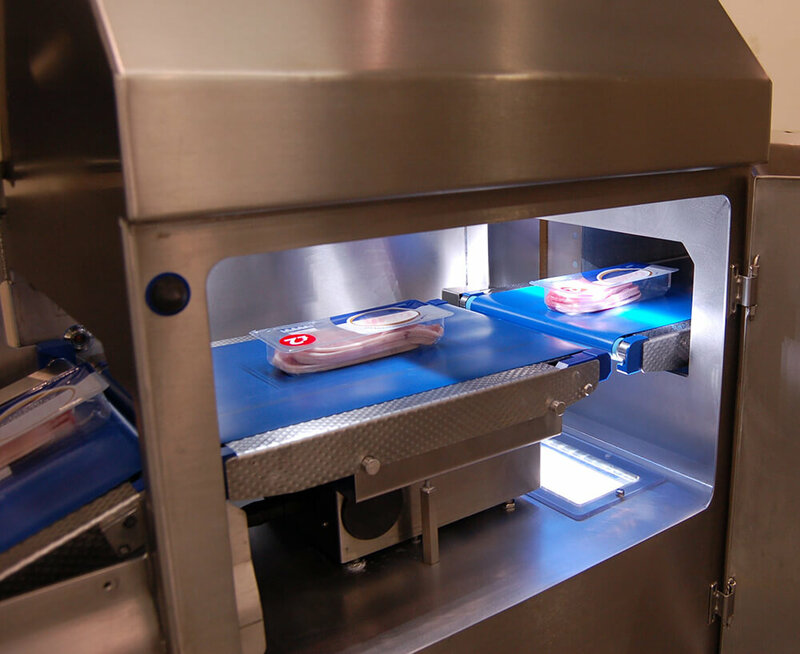 A high-resolution camera positioned above the inspection-conveyor. 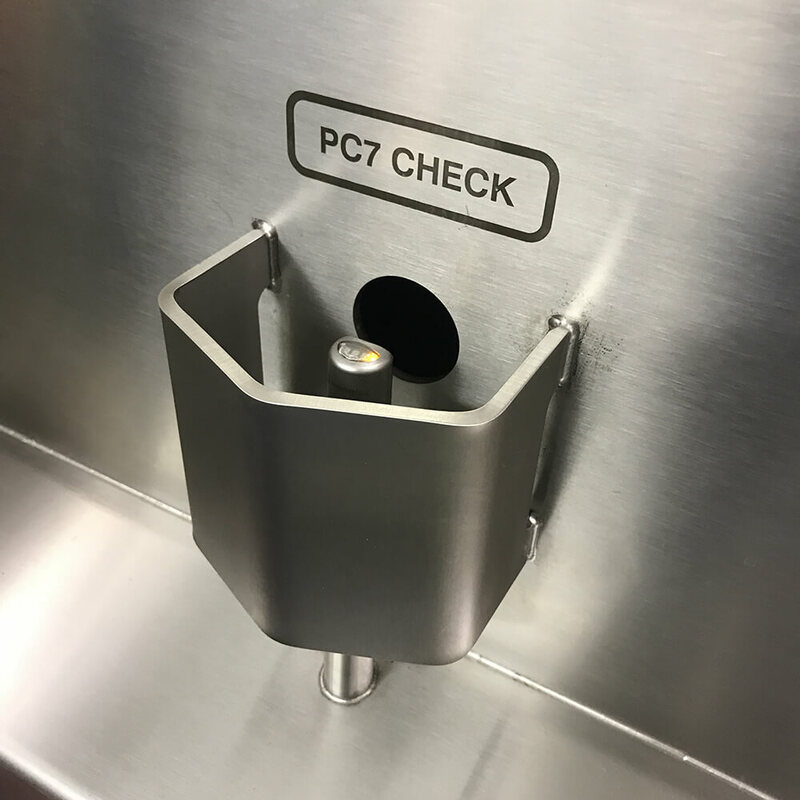 Software tools are employed to inspect each digital image for the presence of a product description, date code, lot numbers, allergen ID codes and barcodes. The information from each product is compared to the expected result. A label ID tool is employed to verify that the product description is correct. An optical character recognition (OCR) tool is employed to read and verify that the date code, batch number, and or allergen ID number is correct. A barcode tool (1D or 2D) is employed to verify that the barcode is correct. A promotional/flash label tool is employed to verify the presence of the correct label. 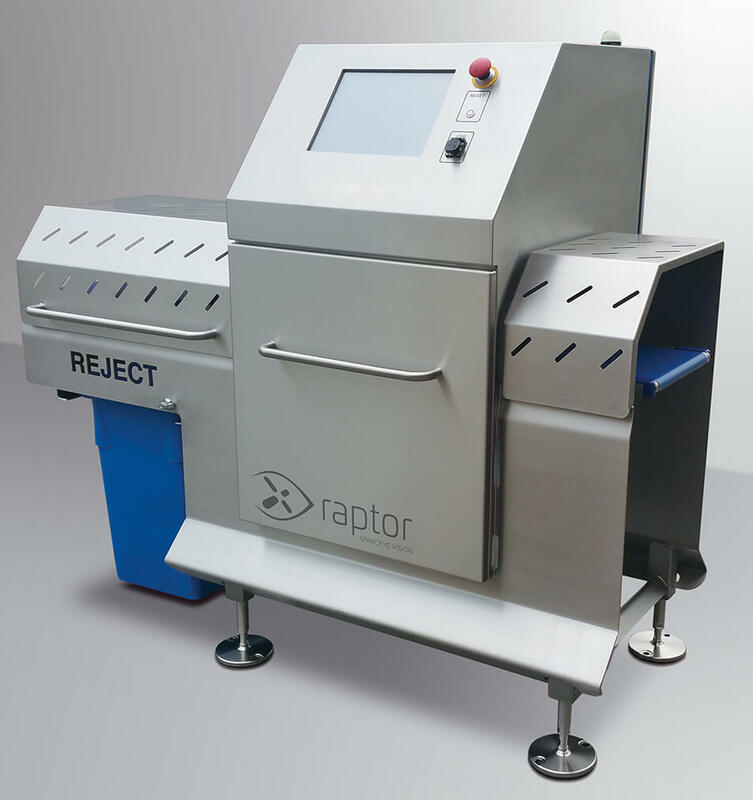 Servo-driven reject provides superior reject performance and repeatability. Instant, live production, QA reports and batch information. Sent direct to the network or wireless devices.